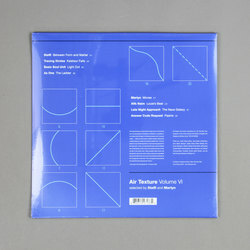 Various Artists - Air Texture Vol. VI – Selected by Steffi and Martyn. Vinyl LP, CD. Bleep. Following collaborative mixes from pairings such as Deadbeat/DJ Olive and BNJMN/Steve Hauschildt the Air Texture series brings together two heavyweights of Berlin techno for their latest drop. However, just because it’s Steffi and Martyn in control for this leg don’t get to thinking that you’re in for a set of breakneck bangers. This is because the manifesto of the Air Texture series is to eschew traditional club fare in favour of unusual and experimental textures. This constraint actually proves to be a boon to both the pair of curators and the extensive list of contributing artists. Across the twenty-six tracks of Air Texture Vol. 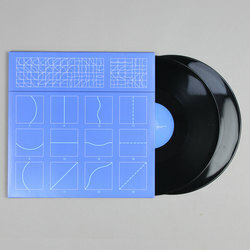 VI we get exclusive gems by everyone from FaltyDL to Answer Code Request to Mosca to KiNK.